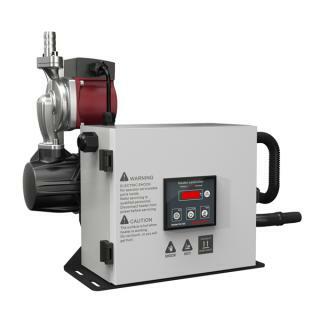 BACM2406 series battery charger is intelligent and multi-function which is specially designed for meet the charging characteristics of the lead-acid engine starter batteries. BACM2406 battery chargers are divided into 2 types according to the battery voltage: BACM2406 (suitable for 24V) . Both of their maximum charge current are 6A. BACM2406 series battery charger is intelligent and multi-function which is specially designed for meet the charging characteristics of the lead-acid engine starter batteries. 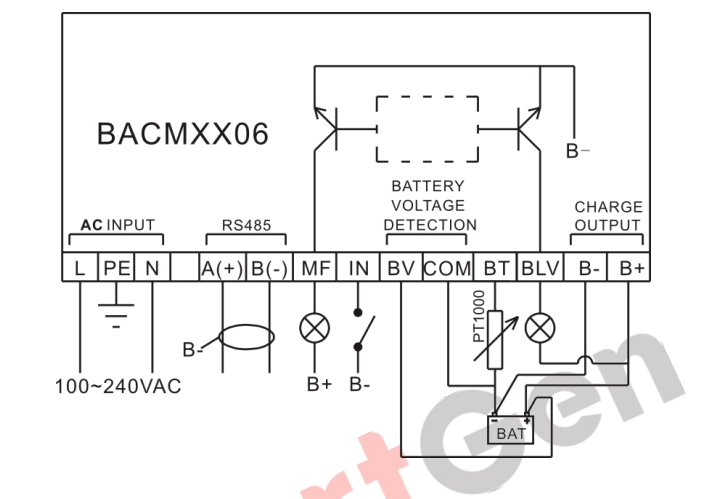 BACM2406 battery chargers are divided into 2 types according to the battery voltage: BACM2406 (suitable for 24V). Both of their maximum charge current are 6A. 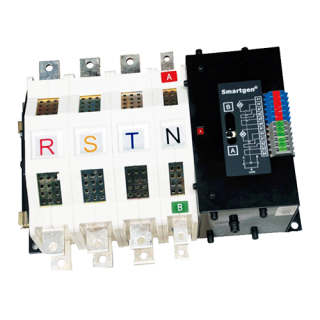 Built-in current protective circuit for over current protection, short-circuit protection and reverse connection protection. The output will be recovery automatically after the failure is removed. 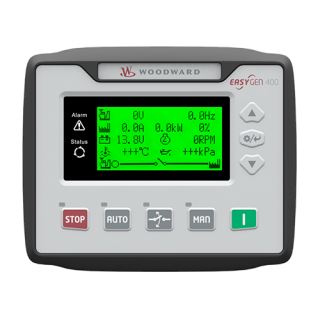 Battery voltage detection ports can detect the battery voltage in real time. Battery low voltage output port; It will output low level immediately after the battery voltage has fallen below the set value for preset delay. 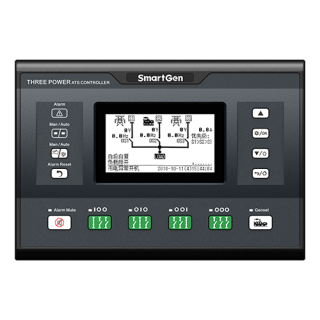 Temperature sensor port allows for monitoring the battery temperature in real time and temperature compensation function which can prevent the battery temperature is too high effectively. Mains failure port; It will output low level immediately when the AC input is interrupted. LED display: Full charged indication (Green light) and charging indication (Red light).